#MySundayPhoto 25 was taken in Weston Super Mare. We had a week off from looking after Bear to catch up on all those things around the house that needed doing. Instead we pottered about and spent two days away in Weston Super Mare. As we were leaving we passed Birnbeck Island with the ruins of the old pier that is the only pier in England that links the mainland to an island. It is a grade II listed building and has been closed to the public since 1994. It is a sad and fascinating site. The photo's were taken on my iPhone so the close-up is not so good. It's a shame the pier is closed now. It must have been quite magnificent in its heyday. It had a beauty about it that is hard to describe. I was fascinated and looked for ages. fascinating ruins. wonder about the history of this place. Amazing photos, I can imagine it full of life. Although it was ruins it still was quite beautiful. What a shame. Wouldn't it be amazing if someone restored it one day? 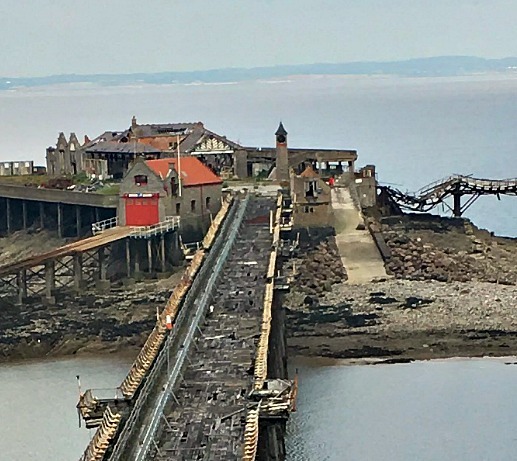 I was so fascinated by your photo I googled ... Friends of the Old Pier Society say there are a few groups working together to try and secure lottery funding (but it doesn't give dates so might not be recent). The history is fascinating. Thanks for sharing. It is a fascinating place, it almost got repaired then the recession hit. I hope it is saved. 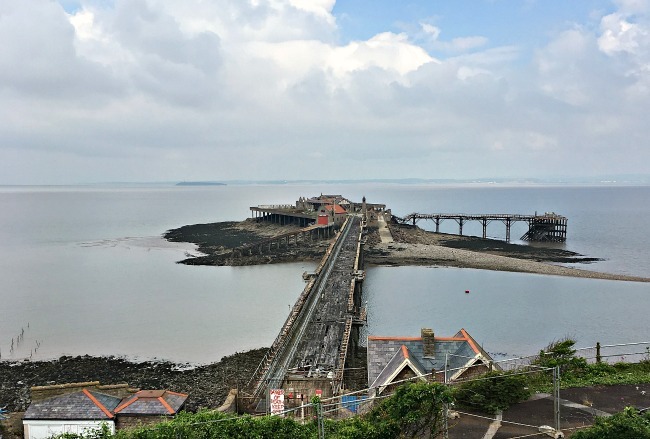 I love Weston :) How amazing would it be to see this pier restored! Just A Piece Of Rock?